I take my toddler out a lot. And we got out to restaurants often. And people always ask us about what we have with us and where to get them. 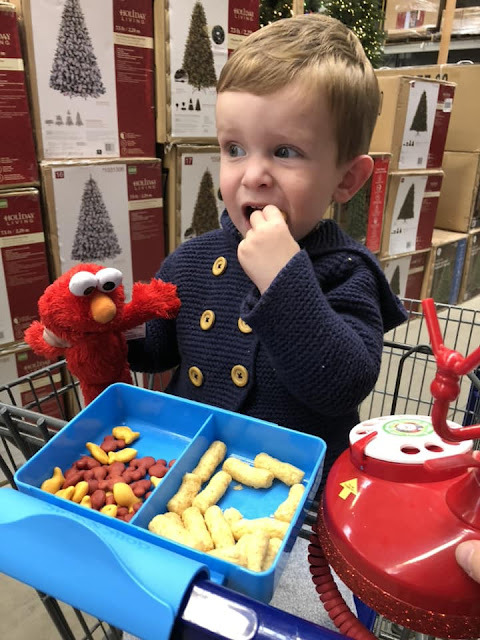 So, here's my top five things you need if you have a toddler and you plan to take them out to eat with you. 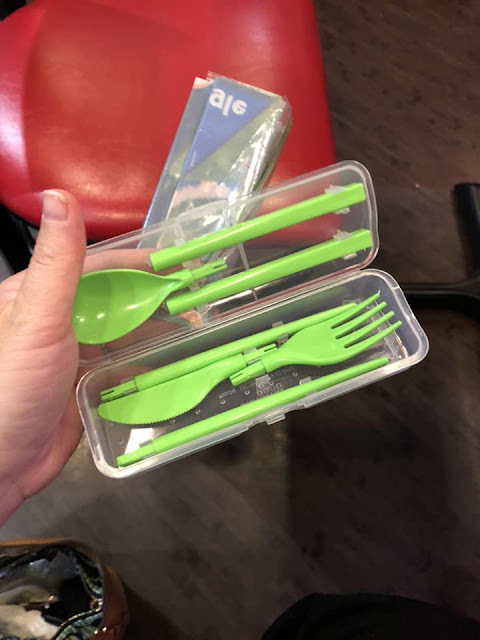 This little case from Sistema is a reusable set of silverware in a convenient travel case. It includes a fork, spoon, knife, and set of chopsticks. We have it in green but it comes in a variety of colors. I also roll up a disposable placemat (see below) to keep in the case as a just-in-case. You know, for those just-in-case moments we all tend to have. My son is almost three and occasionally just prefers to eat off of the table versus a plate. I know you feel me mamas, right?! And the thought of food on a restaurant table when who knows it was last washed gives me the heebie-jeebies. 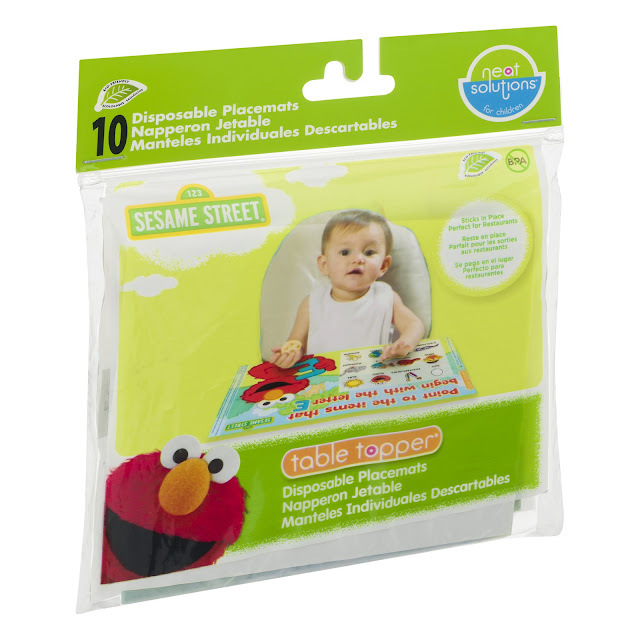 Enter disposable placemats. I keep one folded up in his travel silverware case to use as needed but used to always have them in my diaper bag when he was little. Plus, it's peel and stick so when you're done and ready to leave, you've picked up a bit after your kid and left a small(er) mess! My son is presently on an Elmo and Mickey kick so we use these. Before we were using the shapes and colors ones. While this isn't for dining out, it is for being out! This snack tray has a lid that snaps on so you can fill it with your child's favorite snack and toss it in your bag. Then when you get to the store, put him in the cart, snap the snack tray on, and he'll be happy as can be! I don't know how I ran errands before without this! We received a Phil & Ted's Losbter Seat as a shower gift and I cannot recommend it enough. It folds flat, has a carry case, and is easily kept in your car. 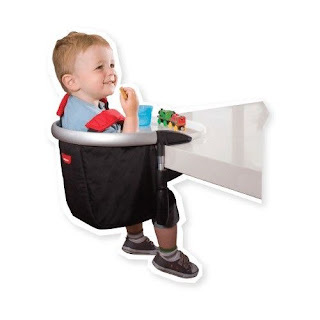 It clips onto almost any table and I actually use it often when my son and I bring my husband lunch at his office- and we clip it to his desk! Seriously, one of those million dollar ideas I wish I'd come up with! I have what we call a "Busy Bag" of miscellaneous activities in my car for when we are out and about and in need of entertaining our toddler. We always have 3-5 different toys/games in the bag but recently put it all in a toddler backpack so he could carry it himself. I am transitioning from diaper bag back to purse (thank goodness!) and this has been a great way to diminish how much I carry. 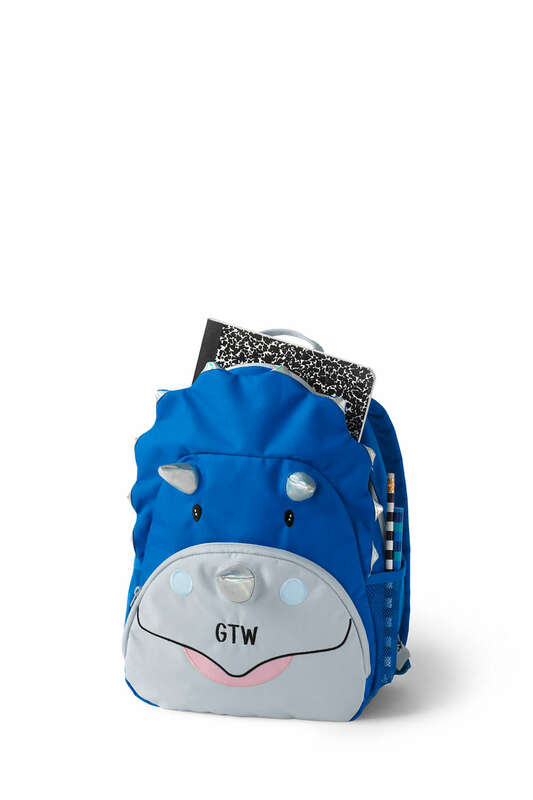 Plus, I got him a cute matching lunchbag that we keep his snacks in so he has practice using both of them before he goes to preschool. And we always always ALWAYS have books in the car and let him bring 1 or 2 into the restaurant with us. When he picks them, they tend to keep his interest more! Tonight, he read his truck book the entire time we were at dinner and did not need his busy bag once. I hope these help you when going out with your toddler in tow! Have you used any of these before? !